A 529 savings plan, also known as a qualified tuition plan, is so named because it is authorized by Section 529 of the IRS Code. It is a way to put money away for your child’s college education that has some terrific advantages. The plan is usually managed by a state government or a college or university and is available in one form or another in all 50 states. One advantage of a 529 plan is that you don’t have to attend a school in the state in which you paid into the plan. Another advantage is the tax benefits that are available on both the state and federal level. There are two types of 529 plans. The first is a savings plan that works much like a 401K or an IRA. Any funds you deposit into a 529 plan account are invested in mutual funds or something similar. The amount of money in your account goes up or down depending on how your investments perform. The second type of 529 savings plan is different. Instead of investing money in an actual savings account, you pay a college or university a portion of their anticipated tuition at a fixed rate. If you change your mind later and decide you don’t want your child to attend that school, you can transfer that money into a 529 savings plan at a fixed interest rate of 2%. A 529 savings plan offers significant tax advantages from both the state government and the federal government. Because the money is earmarked for a child’s higher education state and federal agencies recognize the importance of contributing to a 529 plan. Even though the tax benefits vary between the state and federal governments, both bodies offer tax breaks. 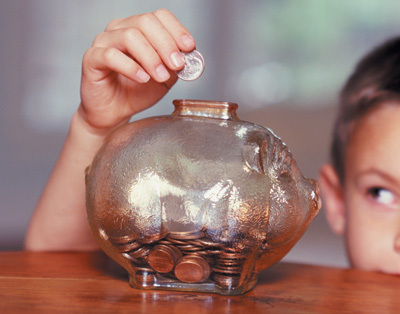 Although the money you contribute to a 529 savings plan is not deductible from your federal income tax, there are nonetheless significant tax advantages because you won’t have to pay taxes on the money that’s earned in your account--providing the money you withdraw is used for the intended purpose of furthering your child’s education. This benefit became permanent with the adoption of the Pension Protection Act of 2006. As long as you leave the money in your 529 savings plan the accrued interest remains tax-deferred. If you withdraw the money and use it for college-related expenses, such as tuition, books or lodging for your child, that money remains free of federal taxes. The tax benefits of a 529 savings plan, as far as individual states are concerned, are a bit more complicated. The majority of states allow all or part of the contributions you make to a 529 plan to be tax deductible, or at least earn a tax credit. As is the case with federal taxes, if the money you withdraw from your 529 savings plan is used for college related expenses it remains non-taxable. A further advantage in most states is that you can make a tax deductible contribution to a 529 savings plan and then immediately withdraw that money for a college related expense. In most states the greatest benefits of a 529 plan are reserved for those residents who plan to use the money for their child to attend a school in their home state. The amount of money that is eligible for tax deduction varies from state to state. By doing a little Internet research you should be able to find out what the rules and regulations are in your state regarding the tax advantages of a 529 savings plan. Consulting with a tax professional, such as a tax attorney or an accountant will also help you become familiar with the tax benefits of a 529 savings plan. Guest post from Taylor Harris. Taylor writes about the best online universities for BestOnlineColleges.com. I like to impede out your blog a couple times a week in behalf of recent readings. I was wondering if you beget any other topics you indite about? I like to use best 529 plan for my kids because of its tax benefits. This will help me a lot to give my children a better education.